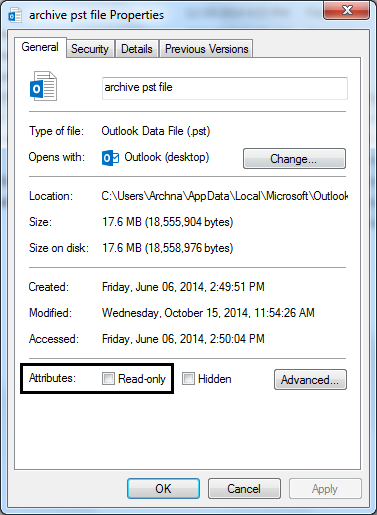 Now, to resolve this error please follow below steps and quickly make PST files accessible in MS Outlook. To fix this problem, copy the PST file from CD to the hard disk. Select the file, right-click on it, and choose “Properties”. Disable the check box for the “Read-Only” option and hit OK. Now, again try to import the PST file and it should be imported successfully.